GGA3 PBD Agarose Beads | Cell Biolabs, Inc.
Our GGA3 PBD Agarose Beads are designed to pull down only the active form of Arf. These are the same beads found in our Arf Activation Assays. 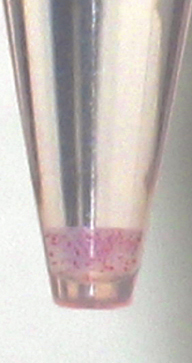 Figure 1: Visible Agarose Beads. Agarose beads are colored for easy visualization, minimizing potential loss during washes and aspirations. Gibson, C. C. et al. (2015). Dietary vitamin D and its metabolites non-genomically stabilize the endothelium." PLoS One. 10:e0140370. Davis, C. T. et al. (2014). ARF6 Inhibition Stabilizes the Vasculature and Enhances Survival during Endotoxic Shock. J Immunol. 192:6045-6052.